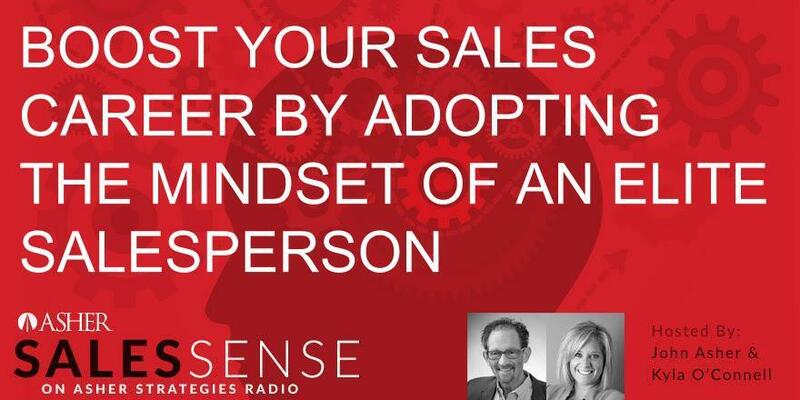 Asher Strategies announced today the launch of Asher Sales Sense, a radio show that will feature CEO John Asher, guests and unique conversation on sales strategies. The show will air bi-weekly beginning Sept. 6, 2018. The shows will be available on asherstrategiesradio.com for people to listen in on the latest episode. “Helping companies transform their sales strategy has been my passion for the last 20 years and discussing trends and interviewing experts during the shows will continue this journey,” said John Asher, CEO. The first show airing on Sept. 6 will be an interview with Kyla O’Connell, senior sales trainer and coach for Asher Strategies about Sales Training Reinforcement Techniques. Techniques Asher provides include action item follow up from training courses, Asher videos, Close Deals Faster, a book written by John Asher, customized webinars, coaching and access to the Asher Virtual Academy, which will be available soon. Additional episodes are scheduled for Sept. 20, Oct. 4 and Oct. 18 and recurring every other Thursday. Tune in to hear and learn about techniques, strategies, problem solving and how to close deals faster. Be sure to share what you have learned on social media and tag Asher Strategies to continue to learn more.